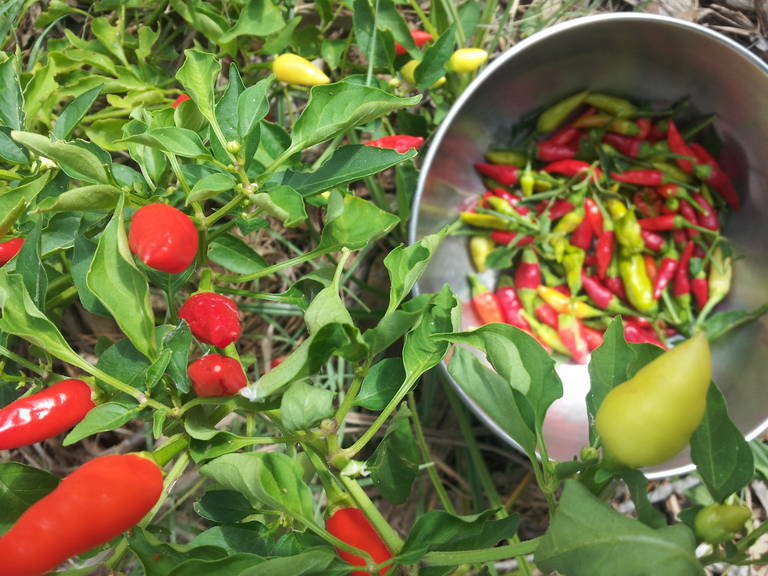 The Chile Peppers are first to come in this season and we've grown a wide variety. Just yesterday I harvested a whole lot of the Birdseye (Thai) Chile Peppers. My favorite for drying because they're little and fast to dry. I have been known to dry my peppers naturally, (air dry) when our weather is not to humid. That rarely happens here in the Gulf Coast area. You can visit me at Natural Family Today for a great photo to see how I stung together peppers to dry naturally last season. I also included some other tips for canning and preserving naturally. I am doing oven drying today. 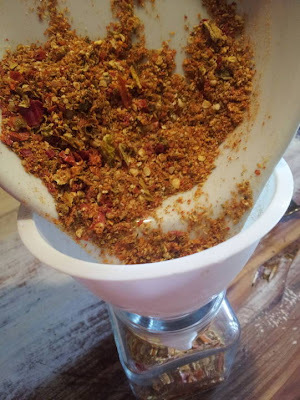 You can use a food dehydrator for this method as well. After spreading the prettiest peppers out on a cookie sheet lined with parchment paper they were ready to go in. I like using the paper because it seems to help absorb any moisture and the peppers dry faster. The Chilies take approximately 8 to 10 hours to dry. Other peppers can take up to 12 hours because they have a thicker skin than the chilies. To make this real easy, I turn the oven on the lowest setting at around 170 degrees. I like putting the peppers in right before I go to sleep for the night. When I wake, the smallest ones are already finished drying. I go ahead and pick them out and place the rest back in the oven. 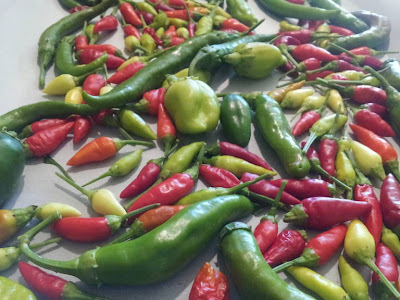 When the Chilies have completely dried, it's just a matter of crushing them. They are a little crispy, so it is not to big of a challenge. Just be very sure to wear gloves or to not touch your face. They are HOT! 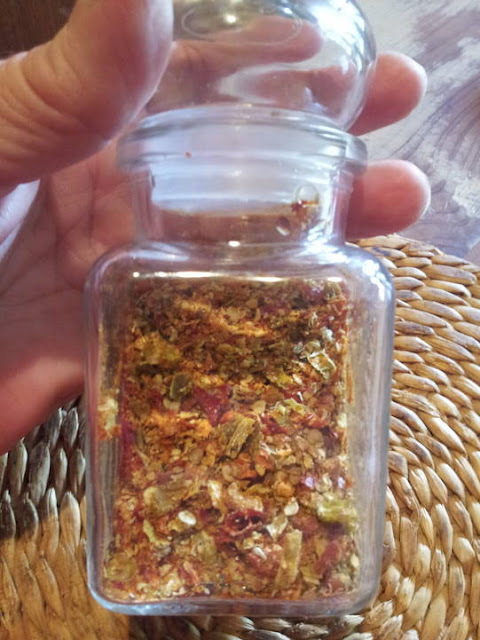 I crushed my Chilies by using a coffee grinder. Don't over grind or you will end up with a lot of powder. Although Chile Powder is great too! A simple mortar and pestle works well, it is just a little more time consuming. Find a pretty jar that has a good seal to help keep everything dry. I found one I liked that once was filled with orange blossom honey. My next project will be making up some Sweet Thai Chile Sauce. I'll let you know how it turns out! Yummy. I like chilies in just about everything.